I’m not musical. 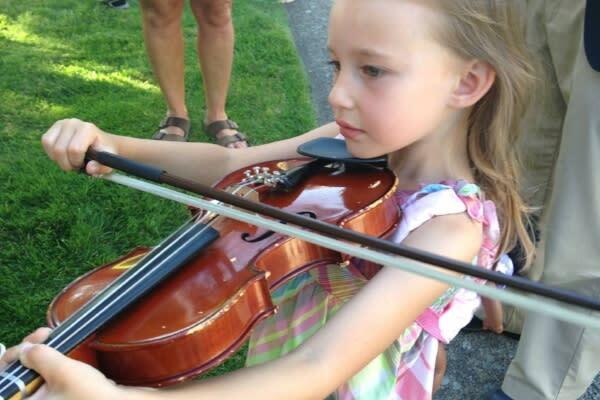 But when the Eugene Symphony holds its annual free concert at Cuthbert Amphitheater, I want to be there! Last year when my daughter was five years old we went for the whole beautiful experience – blanket on the grass, warm summer air, afternoon sunshine turning into dusky twilight, friendly camaraderie with other concert-goers, delicious local food paired with a glass of wine and oh, yes… the music! Every time I tune into classical music on the car radio, I must confess it is with the hopeful motivation that my daughter will respond to it in a way I never did. I dream that she will be inspired. That it will imprint upon her soul and elevate her thought patterns. Okay, maybe some of that Baby Mozart marketing got to me (although we are screen time avoidant so I’ve never bought the videos). So here we are, a tad early browsing the food selection, when we meander by the Eugene Symphony’s “Petting Zoo.” Look, a petting zoo! I announce to my daughter who immediately wants to see the animals. Well there aren’t animals to pet, but there is a range of mysterious and intriguing instruments to try out. At first she regards them like she would a snake – gazing intently but refusing to hold when offered to her. Starting with a few wind instruments like the clarinet, I demonstrate with a few feeble puffs and crack myself up. Yes, this is fun for adults too. The percussion section breaks the ice as she recognizes noisemakers that we have at home in the toy basket. Comfort level established, we return to the wind instruments for successful engagement. And then she spots it – the violin. 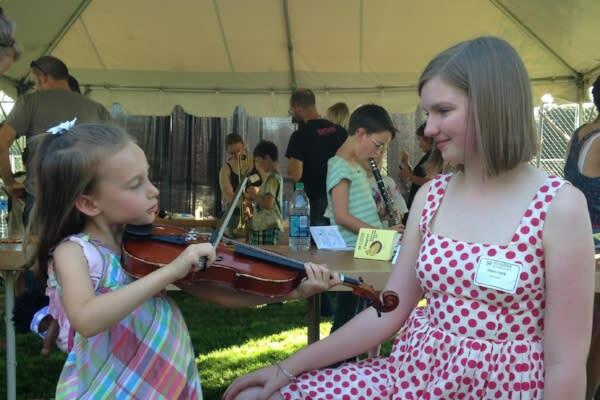 Another young girl is dragging the bow across the strings with gentle coaching from the symphony volunteer. “I want to do that!” she announces. When it’s her turn, it is like magic. She glows. Granted the sounds aren’t great but her absolute joy in tucking the violin under the chin and positioning the bow surprises me. We move on but then she asks to play the violin again. And again. We dutifully complete the rounds of all the instruments, getting a stamp at each station. But during the musical exploration she returns five times to that violin. Feeling that we’ve had an excellent “overture” already, we settle down on the lawn for the concert. As the first melodies float through the air, my daughter sits up straight and attentive. This means something to her now. She believes she can do this too. It is relatable. 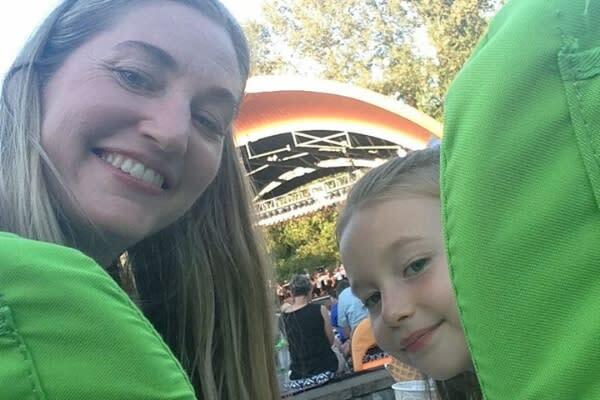 What I love about the annual Eugene Symphony in the Park is just that – this experience is accessible to all of us in the greater community. The program includes easily digestible pieces from Broadway favorites and pops to familiar classical selections. The range gives the novice a delightful taste and the mastery is there to please the aficionado. The Eugene Symphony has been conducting free concerts in the park for seven years as community gift. And last year, to celebrate their 50th anniversary, they expanded their free musical outreach to Roseburg and Cottage Grove. They also reached into the heart of our family. It just so happened we stumbled upon a child’s violin at a yard sale the next day. I think I got the message. But thank you, Eugene Symphony for delivering it. Without your generous sharing, we might never have heard it. And yes, the music has made a soul imprint. 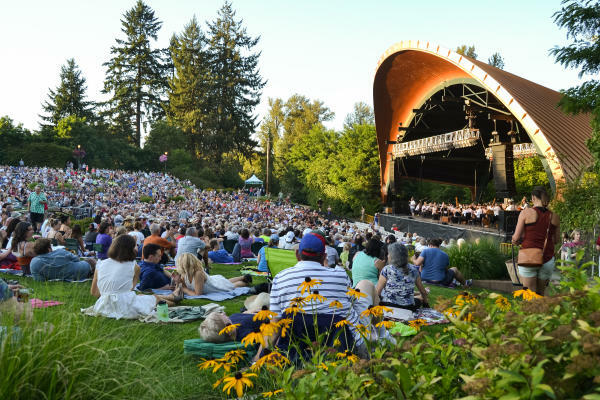 *All tickets for the Eugene Symphony in the Park concert at Cuthbert Amphitheater on July 21, 2018 have been distributed. However, check with the Hult Center Ticket Office closer to the event, as patrons may return tickets they are unable to use. 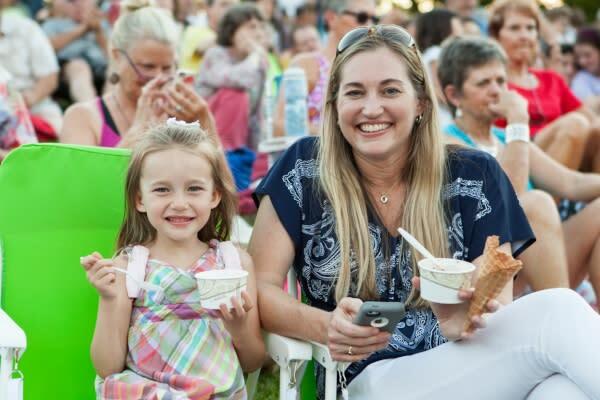 Additionally, Eugene Symphony will perform a similar program with free admission at Cottage Grove’s Bohemia Park on July 23, 2018 and no tickets are required for entry. For details and more information, please visit the Eugene Symphony’s website. This blog was originally published in 2016.